Anyone who has happened into The Liberty on a Friday afternoon has no doubt seen a handful of men in navy blue coveralls bellied up to the bar, celebrating the end of a shift at the Arnold Oil plant across the street. Well, don't expect to be partying next to those guys much longer. But don't worry, you may have a whole new crop of workers to sip on Pearl Snaps next to. Arnold Oil announced this week that after 37 years it will be moving off East Sixth Street and breaking ground on a new headquarters on Burleson Road in southeast Austin. While the fate of the prime piece of property has yet to be determined, the Austin Business Journal is reporting that Houston-based developer Transwestern is copied on much of the paperwork. Originally founded in Corpus Christi in 1939, the automotive parts manufacturer expanded to Austin in 1977 when Jim Arnold opened the headquarters in what was then a very different neighborhood. With the rapid expansion of condominiums and retail spaces encroaching on the east side, it looks like the Arnold Oil property is destined for a similar fate. According to its website, among Transwestern's projects in Austin is a complex being called Eastside Village, a 94,500 square foot commercial and residential space on Comal between East Fifth and East Sixth Streets (the Arnold Oil property falls on this tract of land). Transwestern says in the document that half of the massive office space has already been leased, despite construction not even starting yet. 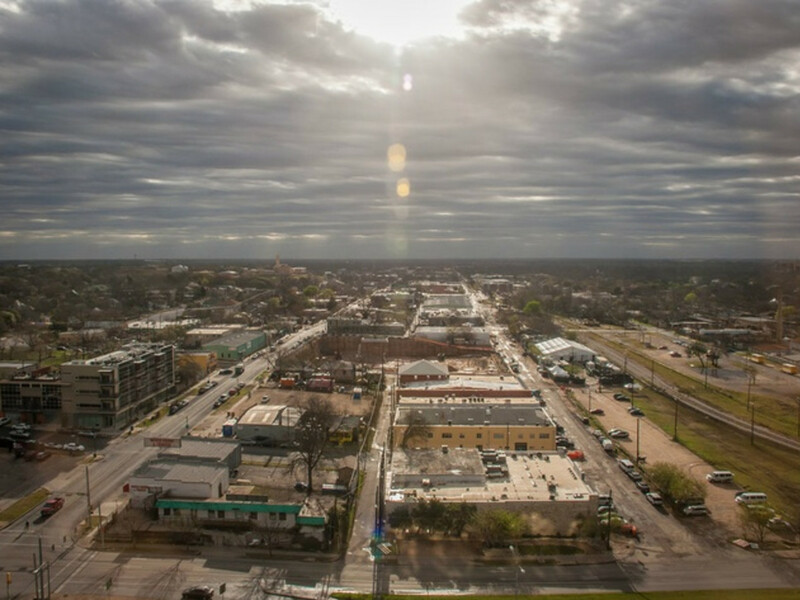 In addition to the office space, the document says Eastside Village will feature 348 apartments for rent in "a trendy entertainment district on the edge of downtown across from Plaza Saltillo." Edge indeed. 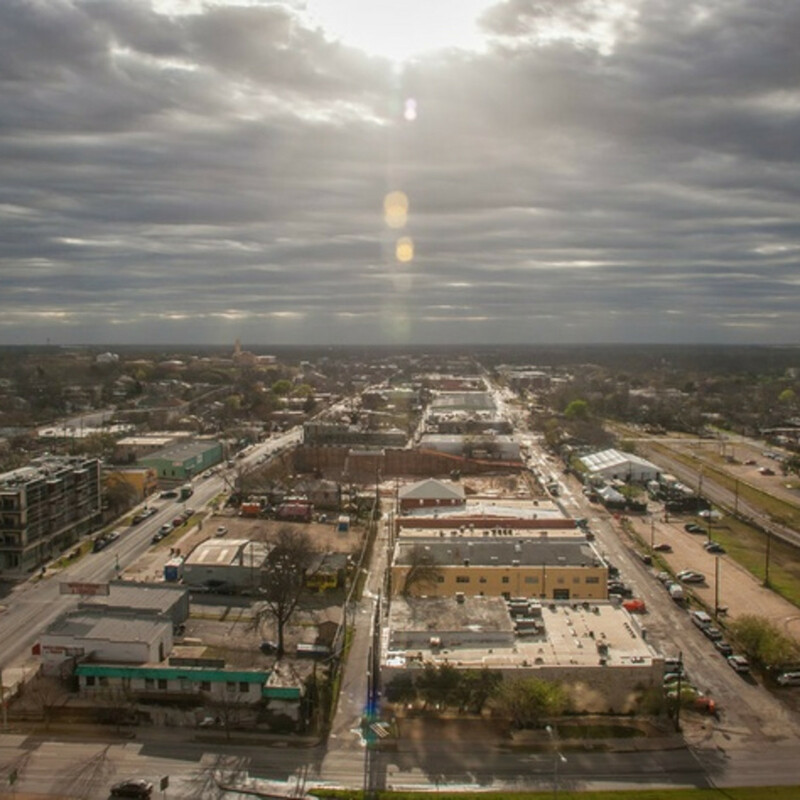 In the past six months, East Sixth Street has undergone rapid change with property being snatched up by the Walton Family, La Corsha and Greystar, among others. Just how this new massive office building is going to look nestled between The White Horse and Yellow Jacket Social Club remains to be seen.